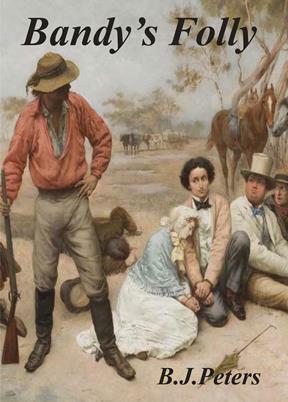 The mid 1860’s in central New South Wales was a period of tremendous change and growth, driven initially by the opening up of huge tracts of pastoral land by the squatters and later by the discovery of gold. The people who settled the land, or mined it and moved on, had good luck and bad, prosperity and poverty, and some found themselves living on the margin of the law. Some were the victims of circumstance, some made their own good fortune. Bandy Coot’s experience draws from all the above as the chain of events surrounding him spiralled out of control. He was a simple man with modest ambitions but, as he had an aversion to hard work, these modest ambitions suited him very well. All he wanted in life was a regular source of income, a roof over his head and the chance that one day he might marry his sweetheart. Unfortunately there were negative factors working against him and individuals who actively worked against his goals. Ultimately, these factors and individuals created a chain of adventures (or misadventures) that affected his life in ways he could never have predicted. The author is an older bloke who lives in Sydney with his wife and their two grown up sons. As he always enjoyed telling stories he decided to try his hand in writing a longer one himself in the hope that the reader would enjoy.